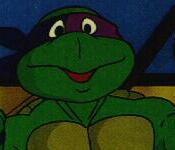 Click on Donatello to Enter!!! CAUTION: If you're on a laptop, you may want to turn down the volume while viewing the main page and other pages throughout the site. There's no vulgar language for innocent ears to hear, but the audio files are pretty loud. Certain browsers like Google Chrome and Microsoft Edge may automatically play the embedded clips, while Mozilla Firefox won't even have it at all.